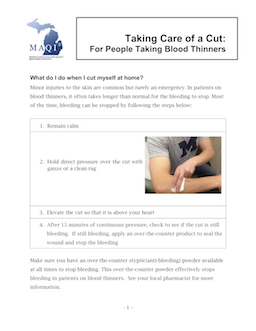 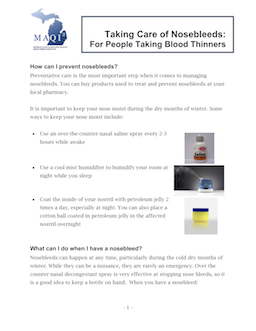 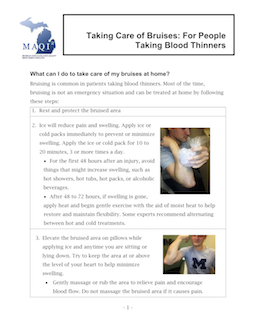 Following are handouts provided to help patients handle minor bleeds while taking a blood thinner or anticoagulant. 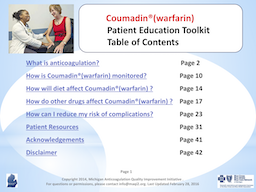 This toolkit is for informational purposes only and does not, itself, constitute medical advice. 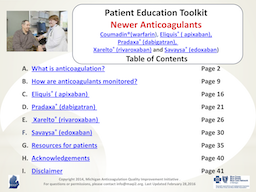 The toolkit is not a replacement for careful medical judgments by qualified medical personnel. 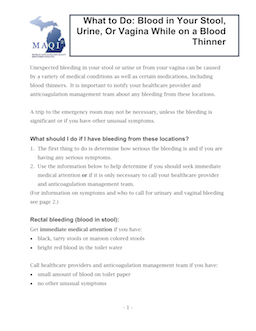 There may be information in the toolkit that does not apply to or may be inappropriate for the medical situation at hand.